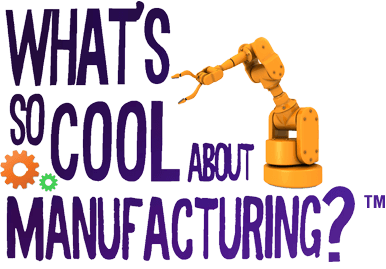 February 20, 2019 – Demco Automation is working with Quakertown School District’s Strayer Middle School during Engineers Week to create a video for a contest in the called “What’s So Cool About Manufacturing” (WSCM). Sixteen regions within the Commonwealth of Pennsylvania as well as other states in the country participate in this program designed for teams of 7th and 8th graders from local middle schools to make videos about what companies do every day. The intent of the program is to convey career awareness and excitement in manufacturing and technology sectors with an objective of changing students’ perceptions about manufacturing careers. The Greater Philadelphia Region contest is produced by the Delaware Valley Industrial Resource Center (DVIRC) with 30 middle schools participating. The general public can participate in selecting the best video by voting for your favorite in the “Viewers Choice Vote” occurring from Wednesday, March 20 through Friday, March 22, 2019. An Awards Ceremony is being held on Monday, April 8, 6:30-8:30 p.m. at the Greater Philadelphia Expo Center, Oaks, PA. The Manufacturers Resource Center (MRC) developed the program and it has spread across the Commonwealth of Pennsylvania over the past five years. The program is funded in part by the Pennsylvania Department of Community & Economic Development’s Training-to-Career grant, part of Governor Tom Wolf’s Manufacturing PA initiative. February 8, 2019 – The topic of the 18th in the series by the Greater Lehigh Valley Chamber of Commerce is “Making Robots & Automation Easy”. 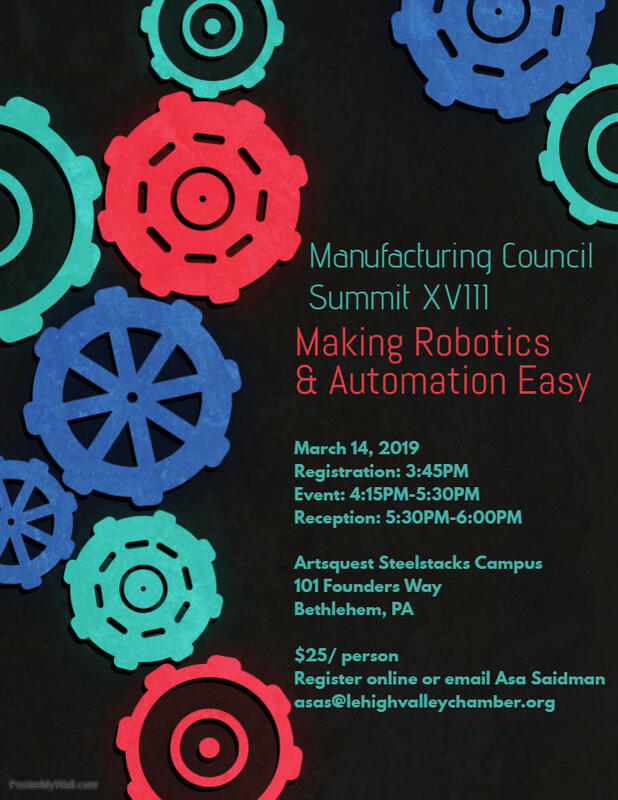 This event for Lehigh Valley manufacturers will focus on the benefits and advantages to automating with robots and other types of equipment. Two panels will be participating to detail implementation of automated equipment on the manufacturing floor providing two viewpoints within this important and relevant topic. – Panel #1 includes companies that provide automation, robotics, and related services. – Panel #2 includes companies that have already implemented equipment in their facilities.